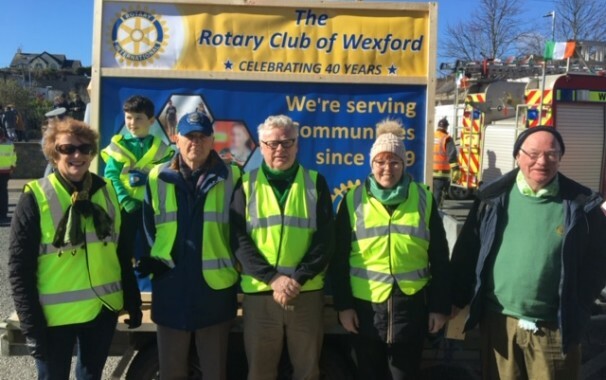 The Rotary Club of Wexford took part in 2019, St Patrick’s Day parade. 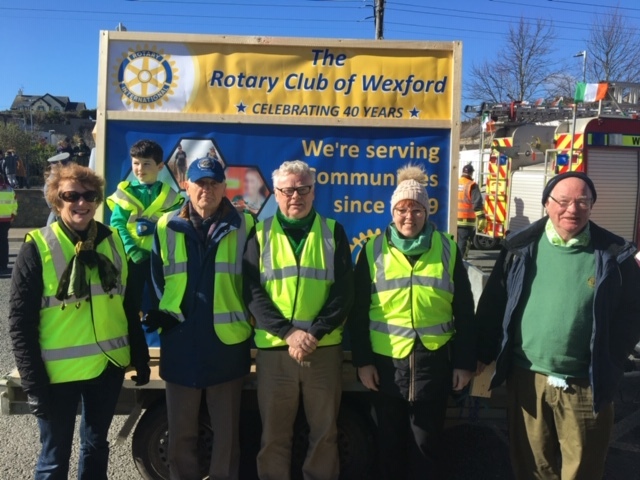 Our technical support and representative on viewing stand: Thomas Huelswitt, President, Rotary Club of Wexford. 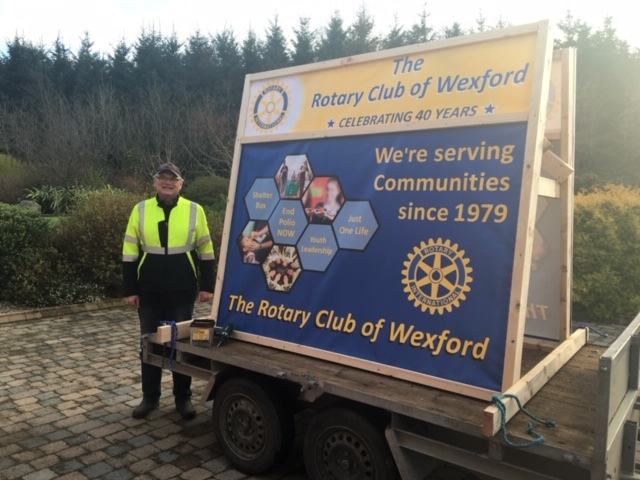 Pictured: Wexford Rotary Club President Thomas Huelswitt pictured beside float with new banners on display.